Welcome to the Vanderbilt QSN Chapter page! Founded in 2014, the Vanderbilt QSN Chapter is a new addition to the Quest Family, and we cannot be more excited to start on this journey. As a rising chapter, we aim to build a strong community while placing our identities firmly as QuestBridge Scholars through community service, social events, and reflection. Our chapter stands strong with high participation and passion for QuestBridge, as well as official recognition by the university. Our chapter is active with Quest Ambassadors, Group Leaders, and Quest Mentoring Families. Not only do we have a strong peer support, but also we are connected with Vanderbilt’s new Office of Transition Programs through Dr. Christiana Russell, who focuses on transfer and first generation students. We also have an amazing admission officer, John Gaines, who is always more than happy to help our chapter out. This year, we wanted to give back to our community and become more service oriented. We’ve volunteered at the Nashville Rescue Mission, a homeless shelter, multiple times and served at the Ronald McDonald House. But we’re also big on community-building. As our chapter continues to grow, we’re excited to start up new traditions, such as our first annual gingerbread house competition at our Holiday Party. 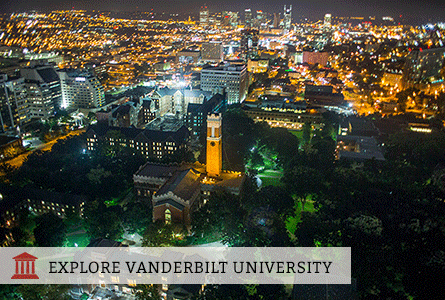 Here at Vandy, YOU have the potential to shape our chapter, and we’re excited to see how much this chapter will grow.